Aqua Spa Bath & Body Products: Me Time Made Better! I was provided with complimentary Aqua Spa Bath & Body products to facilitate this review. The opinions in this post are 100% mine. You can read my full disclosure policy here. Moms, isn’t it so nice to have a little me time to pamper yourself once in a while? I don’t indulge often enough and think that’s probably true for most of us. 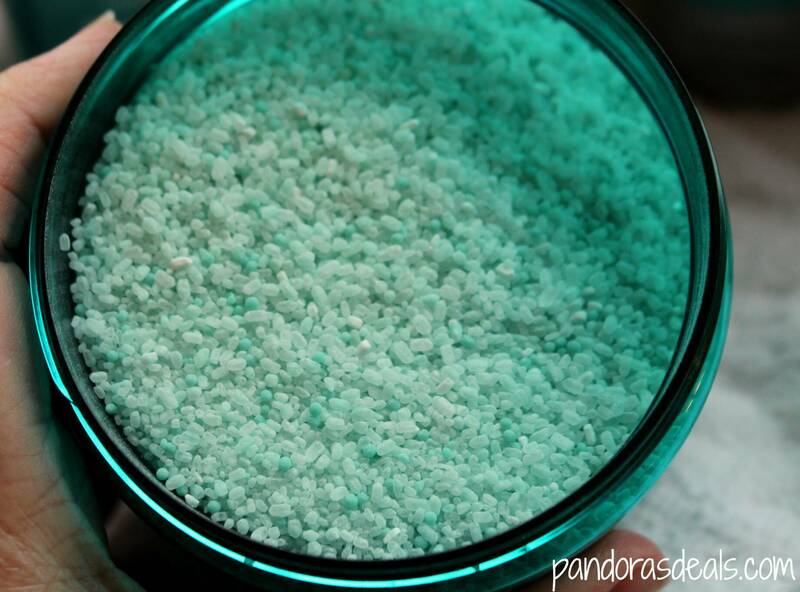 So when I had the opportunity to try the new Aqua Spa Bath & Body Products I said yes, please! The thing I love about them (okay one thing among many) is that they’re totally affordable (only about $8 each) and readily available at select Walmart stores. So you don’t have to spend a fortune to have a spa day at home! 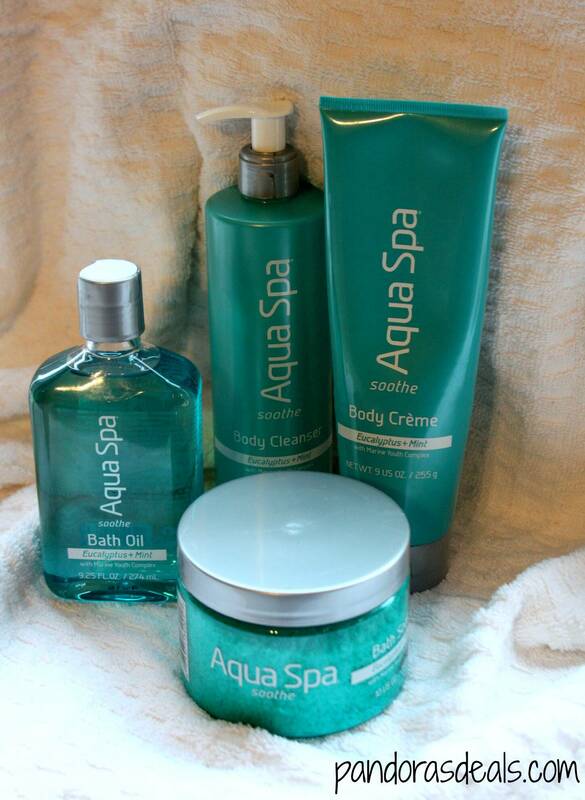 Aqua Spa at home spa products come in three different collections: Soothe, Energize, and Relax. I chose the Soothe line to review because it’s scented with mint and eucalyptus and I love that combination! These products are made with a Marine Mineral Complex, a combination of elements that come from the sea that is designed to help slow the aging process. Sign me up! There are 4 different products in each line. Body Cleanser: I love this stuff! First I really like that it comes in a pump. That just makes it easy to use in the shower. And it smells great! This is true for this entire line. Just a light fragrance that’s refreshing and not too perfumey and fake smelling. It’s gentle yet cleanses really well, and it doesn’t dry out your skin so it’s great for everyday use. Body Creme: This is my favorite of all 4 products and I usually use it 2-3 times a day. Again, the fragrance is the perfect level of refreshing mint and eucalyptus. But the thing I love most about this is that it’s so moisturizing but it’s not greasy. It’s a nice, thick creme but it absorbs right into your skin. I love to use it on my hands and feet right before I go to bed! Bath Salts: This is a luxury for me because rarely to I get a bath just to relax. But I did to try these new products and ah, heaven! I love the gentle foaminess of this product and the way the warm bath water smells when you put it in. Bath Oil: This product left my skin feeling so soft after a bath. I always worry with oil that it’s going to be greasy which I don’t like, and this wasn’t at all. I actually put some right on my hands one day and it soaked right in and they were dry afterwards. Nice, right? I am truly loving these products! Check them all out on the Aqua Spa website and then be sure to follow on Facebook and Twitter to hear about their latest products and promotions. You can also find their latest news on their Pinterest page, YouTube, and (my favorite way to follow!) Instagram. If you want their promotions delivered right to your inbox, sign up for the newsletter! Aqua Spa is generously offering one of my readers the same items I reviewed: The Aqua Spa Soothe Collection which includes Body Cleanser, Body Creme, Bath Soak, and Bath Oil. This giveaway will end on May 8, 2014. You can enter to win [HERE].